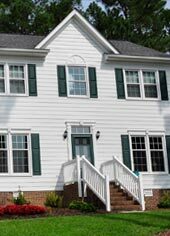 Whether your home needs new siding, replacement windows, a front entry door or a patio door, you can depend on Lansing for the ultimate in craftsmanship and durability. 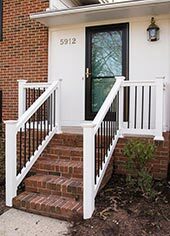 The Aluminum Company of North Carolina is a proud installer of Lansing products for homeowners in the Raleigh-Durham area. 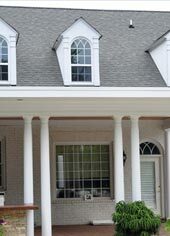 Lansing offers hundreds of window styles and sizes, so you are sure to find just the right ones for your home. 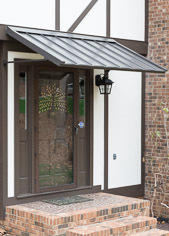 For instance, the Windjammer window series boasts beveled mainframe styling and a handsome brick-mold appearance. 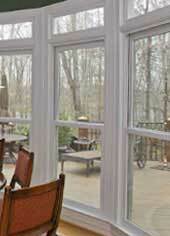 Its 7/8" insulated glass will cut your energy costs, while keeping your home more comfortable both winter and summer. 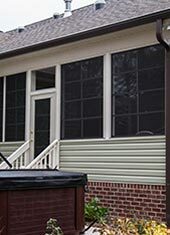 In addition to the Windjammer line of windows, Lansing offers fine windows from Simonton, Windsor and Peachtree, in styles ranging from single-hung and double-hung to casement and bay and bow windows—all available in vinyl, aluminum or vinyl-clad wood. 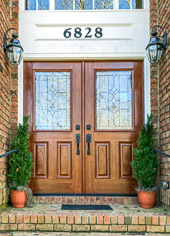 A Gracious New Door Says, "Welcome to Our Home"
Whether you are dreaming of a stunning new front door dramatizing your entry way, Lansing has the door that is perfect for your home, in your choice of wood or steel and fiberglass. Choose from a variety of textures, finishes and panel styles—all designed to be maintenance-free for the life of the product. The Aluminum Company is proud to be your approved dealer for Lansing products in the Raleigh-Durham area. 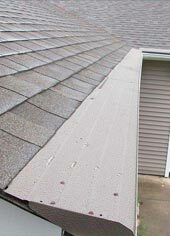 If you're shopping for new vinyl or fiber-cement siding for your house, look no further than Lansing—one of the clear leaders in the siding business. 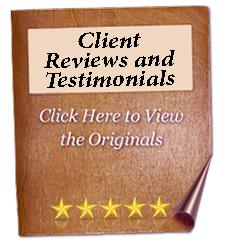 Whether you need doors, windows, or siding, contact us today for a free consultation about how we can help you improve the appearance of your home, while re ducing maintenance costs.